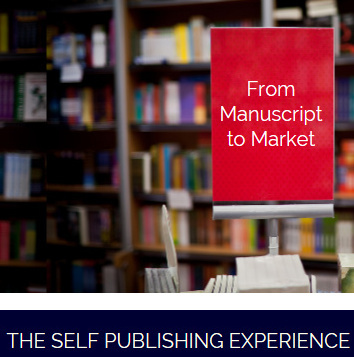 The world of books is undergoing a revolution in the form of self-publishing. Despite the huge rise in the number of books that are being self-published and the growing interest of mainstream authors, there is still some stigma attached to self-publishing. Therefore when Troubador, an independent UK publisher, announced that they would be hosting a Self-Publishing Experience Day, I was determined to go and check it out. Troubador entitled the day ‘From Manuscript to Market’ and it really did prove to be the case. All of us who attended were at different stages of the publication process, but regardless of previous experience we all learned a lot. Various experts took us through their specialist areas and patiently answered our many questions. We also heard a speaker who had taken the self-publishing route himself and about the support that independent authors could receive from organisations such as ALLi, the Alliance of Independent Authors. There was also an opportunity to laugh as we were shown some horrific self-publishing disasters, which have clearly contributed to the stigma in self-publishing. As we were on their premises, we saw first-hand how Troubador’s different publishing arms worked and got a behind the scenes look at the warehouse and what actually happens there. When you see how many books are being shifted and the complicated ordering and distribution system, you really understand how fast self-publishing is expanding! Beyond that, I really enjoyed meeting the other authors and learning about what they were writing. When you hear people talking about writing crime fiction and historical novels, at first it seems a world apart from children’s books, but I suppose we share many common points during the publishing process. All in all it was a great day. A very big thanks to all the staff at Troubador and the invited speakers! If you would like to get in touch you can email Faiz!